Wolf management can be controversial even when biologists can justify why problem wolves must be eliminated. 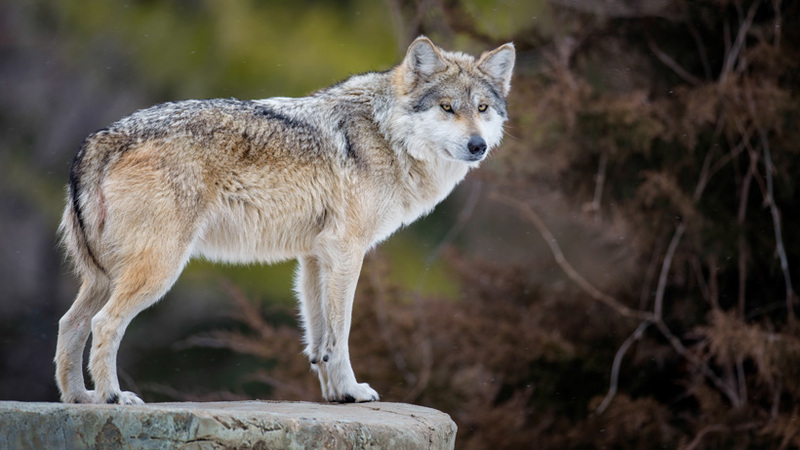 Over the last two years, Washington Department of Fish and Wildlife (WDFW) officials have lethally removed several wolves from the Smackout Pack and completely eliminated the Profanity Peak Pack – removals that followed the state’s wolf management plan. Yet, the Center for Biological Diversity (CBD) thinks there’s more to the story and filed a lawsuit last week against WDFW, alleging that the agency hasn’t released complete details to the public. As goHUNT has previously reported, wolf numbers are on the rise in Washington. The state’s wolf population grew by 28% and two new packs in 2016. Yet, wolves are listed as endangered under state law and wolves within the western portion of the state are also protected under the federal Endangered Species Act. While the increase in wolf populations signals success for wolf recovery, it also means careful monitoring and vigilance for livestock ranchers and state wildlife officials. In July 2017, WDFW eliminated several members of the Smackout Pack for continual calf depredation despite trying non-lethal methods to control them. In August 2016, the state eliminated the Profanity Peak pack, an 11-member wolf pack responsible for repeat calf depredation despite, after trying to stop the repeated attacks through killing only a few of the member wolves. The lawsuit calls for more transparency regarding wolf pack management, especially when killing pack members becomes WDFW strategy. According to a WDFW spokesman, the agency has not yet reviewed the lawsuit and does not comment on pending litigation. Wyatt, I did a paper on sweetheart environmental deals, when I was an undergrad wildlife biology student. With Trump and a Navy SEAL as the Secretary of Interior things for hunters are 1000 times better. I hope he fires every one of these leftist pinko commie US Government employees that allowed this kind of nonsense for the last 8 years of no-bama. Center for Biological Diversity has wasted more Federal conservation tax dollars than any other group I know of! The greedy vermin love to sue ...... here is a list of JUST four of the countless lawsuits and the EAJA paid to their greedy lawyers. *Defenders of Wildlife v. Hall USFWS, 1:08-cv-56 (D. Mont.) - $263,099.66 Wolf Challenge against the USFWS's 2008 decision to delist the northern Rockies. *Defenders of Wildlife v. U.S. Dep of Int, 1:03-cv-1348 (D. Ore.) - $272,710.54 Down listing" of the gray wolf from endangered to threatened status. YUP the above cases are ONE MILLION dollars paid to these disgusting welfare lawyers! @Stephen - we can't wait for that day as well!! We have a few big projects about to be released. The Center for Biological Diversity has been involved in multiple environmental sweetheart lawsuits. They are the enemy of sustainable wildlife conservation, and energy industry in the west.